Choose from unique Dragonfly flavors like Mango, Green Tea, & Coconut in a case of four 3.5 lb. bulk bags. 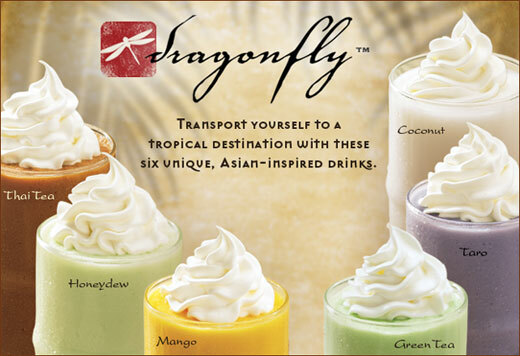 Enjoy unique Dragonfly flavors likes Mango, Green Tea, & Coconut in an assorted case of four 3.5 lb. bulk bags. Choose from unique Dragonfly flavors like Mango, Green Tea, & Coconut in a case of 100 single serve packets. Each single serve packet produces one 16 oz. drink.